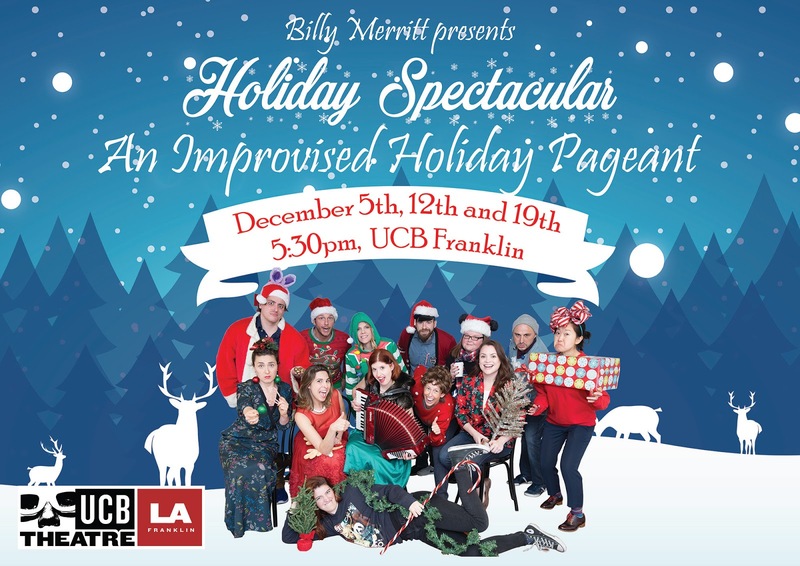 I'm thrilled to be in a show on the main stage at UCB Franklin, called "Holiday Spectacular". 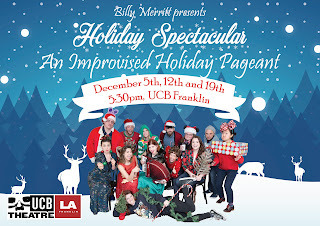 We are improvising a Holiday pageant, complete with accordion, singing and dancing. It's basically a cross between "Waiting for Guffman", and "White Christmas". Oh, did I mention there will be candy canes? $5.00 cash at the door. Comps for industry are available.